The man who murdered a dozen people in a California bar on Wednesday night would have had a hard time possessing a legal firearm in Connecticut. Ian David Long’s previous run-ins with law enforcement would have likely resulted in an order to seize his firearms, following a local police investigation. In Connecticut, similar cases have resulted in the surrender of thousands of guns under the state’s 1999 risk warrant law, which allows concerned neighbors and family to provide information to police, who can refer to their database of gun owners and take away weapons. Although California has strict gun laws similar to Connecticut, face-to-face interviews here might have resulted in a rejection of his initial bid for a firearms permit. And in 2013, the extended ammunition clip that Long reportedly used, was made illegal by Connecticut lawmakers. Ventura County Sheriff Geoff Dean says Long, a decorated former U.S. Marine who served in Afghanistan, first shot a security guard and other staff near the door of the Borderline Bar & Grill, where hundreds of mostly college students were attending country-and-western dance night. He then moved into venue and killed patrons with his Glock handgun, including a sheriff’s deputy who rushed to the scene late Wednesday in the city of Thousand Oaks, according to the Associated Press. He then killed himself. News reports indicate that Long has several earlier encounters with police and that his former psychiatrist and parents notified police. In Connecticut, that would have been enough information to force a risk warrant requiring that he surrender his weapons pending testing, according to state officials. There have been 1,750 people whose weapons were taken away since 1999 under the Connecticut risk warrant law, including 213 through October of this year, according to State Police. State Rep. William Tong, D-Stamford, who is the attorney general-elect, said he would like the General Assembly to reconsider legislation that failed in recent years that would allow law enforcement officials to ask to see the permits of people who choose to carry their pistols openly. “It’s reasonable,” said Tong, who takes the oath of office on Jan. 9. 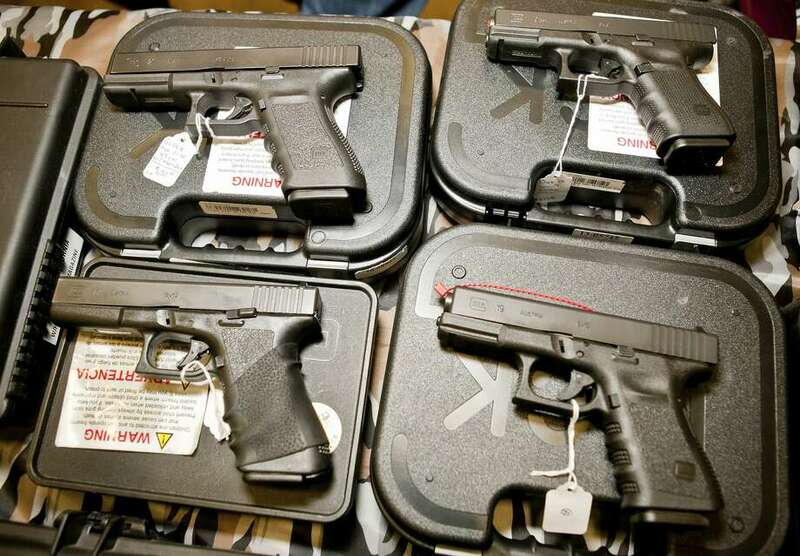 He hopes the General Assembly adopts a measure to make sure those with out-of-state gun permits are not recognized in Connecticut. State Rep. Steve Stafstrom, D-Bridgeport, vice chairman of the legislative Judiciary Committee, said Thursday he would like to strengthen the state’s gun safety laws. While loaded guns are required to be either made safe with a trigger lock or put in a locker, there is no requirement that unloaded handguns be locked. “It doesn’t take a whole lot of effort to steal, then load an unloaded weapon,” Stafstrom said. President Donald Trump has issued a proclamation ordering flags throughout the nation be flown at half-staff in honor of the dozen people murdered Wednesday night in Thousand Oaks, Calif. Governor Dannel P. Malloy announced that in concurrence, state flags will be lowered until Saturday, in memory of the victims. Municipal and corporate flags should also be lowered, Malloy noted. Malloy, who helped put through some of the nation’s most ambitious gun-safety laws after the 2012 school shootings in Newtown, called for national action to curtail firearms violence. Connecticut’s 2013 gun laws banned the sale or importation of military-style rifles and magazines that hold more than 10 bullets. It requires mandatory background checks and mandates gun permits even for those buying ammunition.